Family A-Fair, a USC student-run organization, hosted its first Community Health Fair on Sunday at the St. Raphael School, four miles south of USC’s University Park campus. The fair provided comprehensive health services and educational resources to the underserved population living in the local area. President and co-founder Ellie Volpicelli helped organize the event. 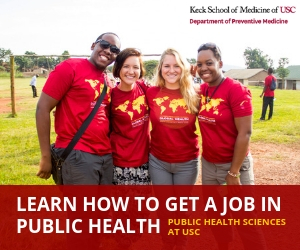 Volpicelli is a post-baccalaureate pre-med student at USC who has a strong interest in community outreach. “The goal of the health fair is firstly to spread health awareness and second to connect community members to nonprofits and community organizations which are health-related,” Volpicelli said. The event, which served approximately 500 people, was particularly impactful because the school is in an underprivileged location and matches Volpicelli and the other founder’s hope to reach out to the underserved communities around USC for future health fairs. St. Raphael High School Principal Barbara Curtis oversees the students who attend the school and echoed similar thoughts about the struggles they face. 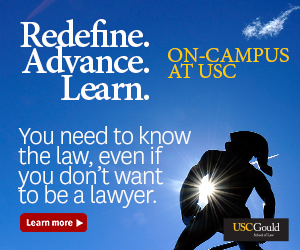 Seventeen organizations attended the fair, several of which were from USC. The USC organizations were Vision for Vision and USC Science Outreach. Other organizations included Whole Foods, Valley Breast Center, YMCA and more. 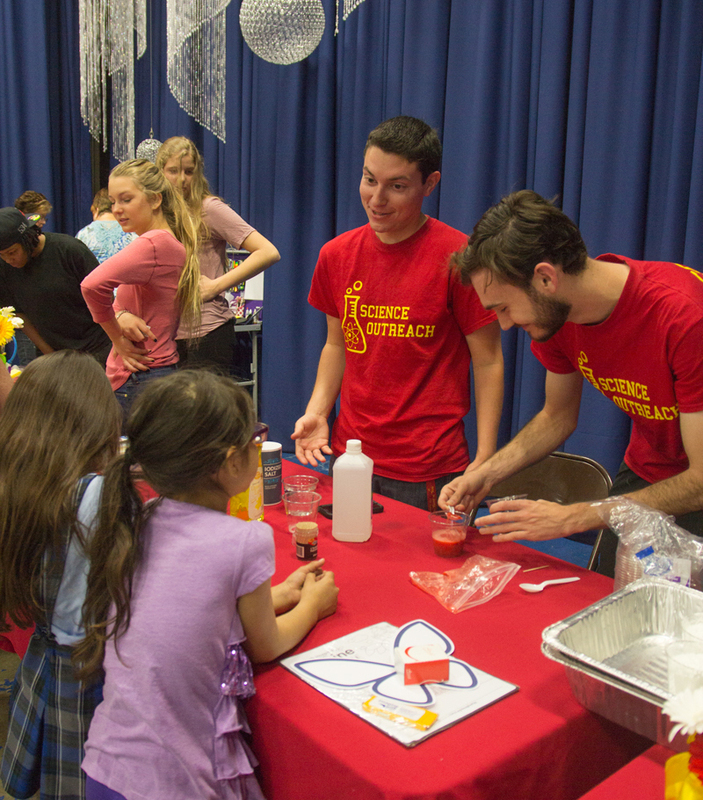 USC Science Outreach is a student-run organization that conducts weekly science experiments for students at three different elementary schools near USC. At the fair, members of the club conducted science experiments for children, including DNA extraction from strawberries and the creation of Oobleck, a non-Newtonian fluid. USC Science Outreach member Rylee Epperson, a sophomore majoring in mechanical engineering, demonstrated how to separate DNA in strawberries to a group of elementary school students. “Our club seeks to pique an interest for science in the kids and help them gain some passion for science,” Epperson said. Eric Flowers, a junior majoring in computer science games, remarked on the importance of outreach programs in underserved communities. Tatiana Sosa, a member of the school’s parent board and whose two children attend St. Raphael, loved the educational programs for her children. Co-founder David Velasquez, a junior studying human biology, says that the name of the organization, Family A-Fair, was created to emphasize this same concept. Volpicelli and other members of Family A-fair are already planning for their next fair, which they plan to host next fall. 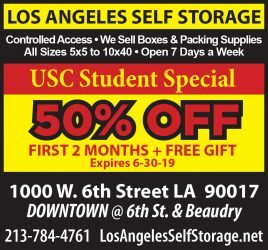 They hope to host more USC student organizations and get more funding. Co-founder Jackie Schwerdt, who is also a post-baccalaureate pre-med student, organized the funding for this fair, which was obtained outside of the University. The organization hopes future events will attract more people and raise greater awareness for health promotion and disease prevention in underserved populations.